Portugal, officially the Portuguese Republic, is a country on the Iberian Peninsula. Located in southwestern Europe, Portugal is the westernmost country of mainland Europe and is bordered by the Atlantic Ocean to the west and south and by Spain to the north and east. The Atlantic archipelagos of the Azores and Madeira are also part of Portugal. Portuguese wine is the result of traditions introduced to the region by ancient civilizations, such as the Phoenicians, Carthaginians, Greeks, and mostly the Romans. Portugal started to export its wines to Rome during the Roman Empire. Modern exports developed with trade to England after the Methuen Treaty in 1703. From this commerce a wide variety of wines started to be grown in Portugal. And, in 1758, the first wine-producing region of the world, the Região Demarcada do Douro was created under the orientation of Marquis of Pombal, in the Douro Valley. Portugal has two wine producing regions protected by UNESCO as World Heritage: the Douro Valley Wine Region (Douro Vinhateiro) and Pico Island Wine Region (Ilha do Pico Vinhateira). Portugal has a large variety of native breeds, producing a very wide variety of different wines with distinctive personality. 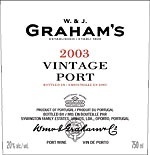 From the winery: "Dark, golden brown with characteristic Madeira bouquet of raisins, toffee and nuts. Sweet with a rich, full bodied, honeyed and complex finish and beautifully balanced acidity. 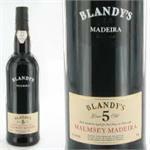 Blandy's 5 year old Malmsey was aged in American oak casks..
Wine Spectator -- 92 pts. Full-bodied and medium sweet, with round, velvety tannins and a long, fruity finish. Wine Spectator -- 98 pts. Full-bodied and medium sweet, with round, velvety tannins and a long, fruity finish. Wine Enthusiast - 94 points "A beautifully shaped and structured wine. Its polished wood shines through the black plums, figs and dark chocolate flavors. It’s a wine with a velvet texture, hiding sweet tannins and pushing the ripe fruit forward. Rating: 93(+?) 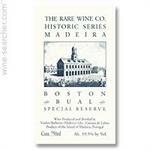 - As reviewed by International Wine Cellar in Issue 90, May/June 2000 Full saturated ruby. Inky, brooding aromas of syrupy black fruits and violet. Rating: 95/100 - As reviewed by The Wine Advocate. Fonseca Vintage Port Dense ruby/purple-colored, with an exotic, exuberant perfume of black fruits, flowers, incense, and licorice, this unctuously-textured, and full-bodied port. Wine Spectator rating of 94 points. Deep opaque, blackish purple color. Aromas of violets just fly out of the glass! In the mouth,endless layers of very ripe blackberry fruit coat the palate. Wine Spectator rating of 96 points. Great nose of crushed blackberry, currant and grape skin. Intense. Full-bodied, dense and beautiful, with big, polished tannins and a long, long finish. Very sweet. 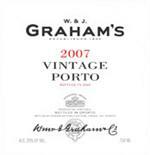 This is a superb young vintage port. Color: Intense Violet. Aroma: Very complex flavors of fresh wild bush “esteva” of the Douro region, with soft wild berries and dry nuts. Palate: Elegant attack, with great volume and compact structure. Round tannins with great deepness. 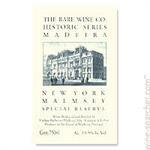 New York Malmsey demonstrates why Madeira can be one of the planet's greatest dessert wines. It marries with an astonishing number of desserts, its kaleidoscopic flavors bonding with chocolate, nuts, citrus and dark fruits. Deep purple in color, with intense, jammy fruit flavors and an aromatic nose of berries, vanilla and a touch of walnut, it is best enjoyed with the traditional full-flavored cheeses and nuts, intense desserts or on its own at the end of a meal. Robert Parker: 98 Douro, Portugal- Inky purple in color, this youngest Taylor vintage Port boasts a floral, wonderfully open and appealing bouquet, backed by layers of rich fruit. Robert Parker: 99 Douro, Portugal- Inky purple in color, this youngest Taylor vintage Port boasts a floral, wonderfully open and appealing bouquet, backed by layers of rich fruit. Blended from Taylor Fladgate's reserves of fine, cask-aged tawnies of several vintages, these wines are on average 30 years old. Rich, silky and elegant, it is a masterpiece of the blender's art.